We are delighted to welcome Éamonn O'Sullivan from Hewn in Westport for a day spoon carving at Ballymaloe Cookery School. A day of spoon carving with Éamonn O'Sullivan at his workshop outside Westport, Co. Mayo. This is a great introduction to axe and knife work. No woodworking experience is necessary although participants should be reasonably comfortable with the idea of handling sharp tools. You will learn all the skills you need to create a spoon from scratch. All raw materials and tools are provided. Lunch will be provided in the Cookery School. 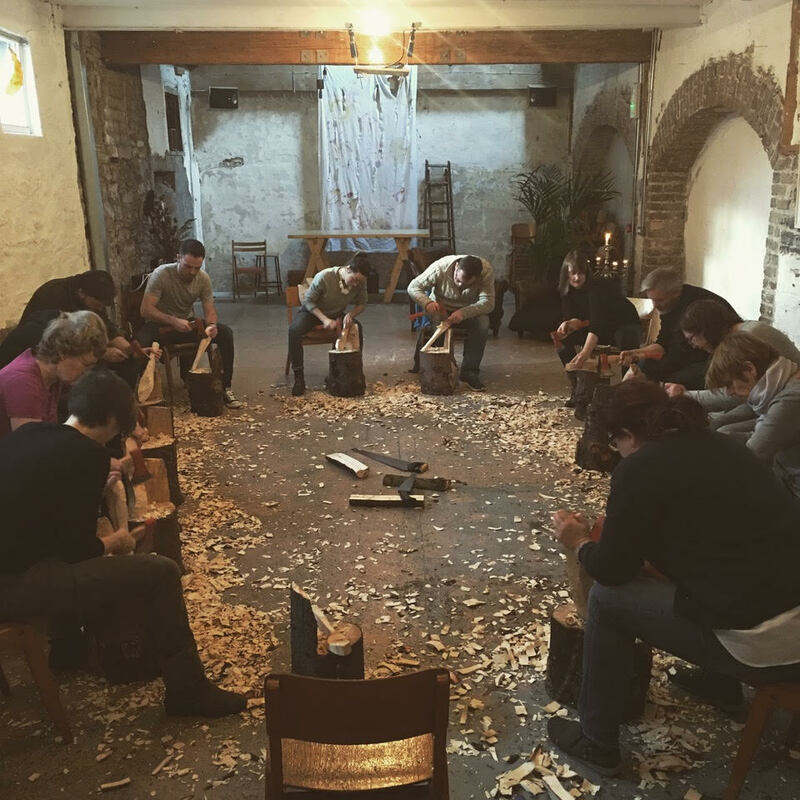 "Hands down the best creative course I've taken"
A wonderful thing about spoon carving is that the tools are cheap, there is no need for a workshop or workbench and the raw material, green wood, is so readily available. It makes it an easy hobby to pick up. This course aims to provide you with knowledge you need to start carving spoons at home. Courses on during week of 23rd March.